Tyler Cravy held the St. Louis Cardinals scoreless through four innings. But the Cardinals scored six times in the fifth inning and cruised to a 6-0 win over the Milwaukee Brewers on Friday night at Miller Park. The shutout was the major-league leading 13th of the year for the Brewers. Cravy (0-3) allowed eight hits, six runs and two walks to go along with four strikeouts. Cravy held the Cardinals in check on June 2 in St. Louis, allowing one earned run on four hits with a walk and six strikeouts. Lance Lynn allowed six hits and four walks in six shutout innings to improve to 9-6. 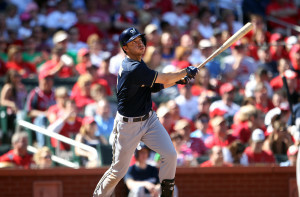 Shane Peterson finished with three of the Brewers six hits. Kyle Lohse, who was moved to the bullpen, pitched the eighth and ninth innings. It was his first relief appearance since Sept. 8, 2009 when he was pitching for the Cardinals against the Brewers. 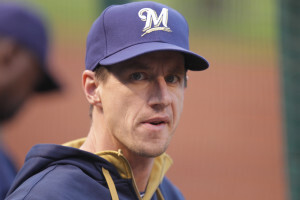 Milwaukee Brewers manager Craig Counsell announced that Kyle Lohse has been removed from the starting rotation and will move to the bullpen. 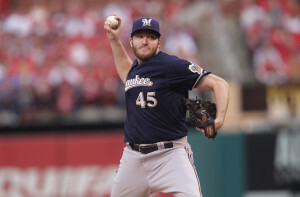 Rookie right-hander Tyler Cravy, recently recalled from Class AAA Colorado Springs, will take his turn in the rotation tonight when the Brewers open a three-game series against the St. Louis Cardinals. Cravy is 0-2 with a 3.60 ERA in three outings with the Brewers. He was 7-7 with a 3.97 ERA at Colorado Springs in 17 starts. Lohse started the season as the Brewers number-1 pitcher but struggled from the very start. Before being demoted, Lohse was 5-13 with a 6.31 ERA in 22 starts. He allowed 25 home runs. Lohse led the National League with 152 hits allowed, 13 losses and 87 earned runs allowed. The 25 home runs allowed ranked second last, behind Colorado’s Kyle Kendrick (26). Milwaukee Brewers manager Craig Counsell warned his team after Sunday’s 4-3 loss to the Chicago Cubs that no team was going to feel sorry for his undermanned Brewers and they can’t start feeling sorry for themselves. The Brewers were swept by the Cubs in four games and have now dropped five-straight games and 10 of their last 12. 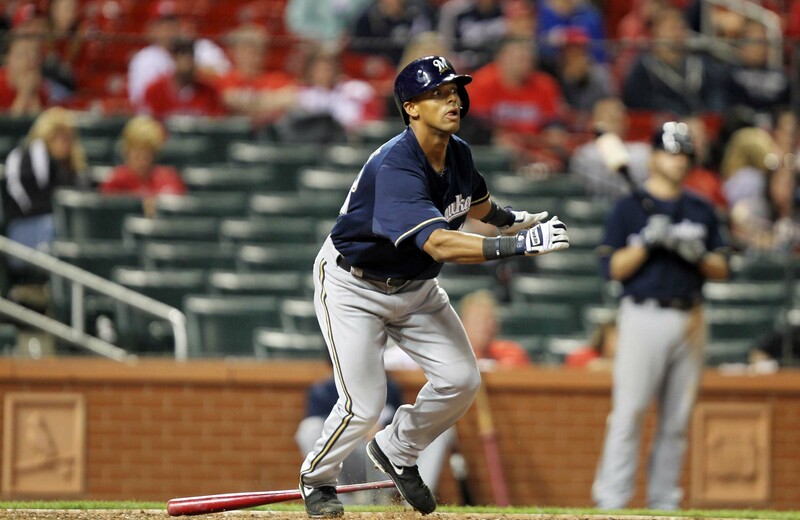 The Brewers managed to score just eight runs during the series loss to Chicago. The Milwaukee Brewers ended a 2-game scoreless streak, but fell short against the San Francisco Giants 4-2 at AT&T Park on Monday night. Rookie right-hander Chris Heston pitched seven strong innings and Brandon Crawford clubbed a two-run home run in the fourth off of Kyle Lohse to lead the Giants. Milwaukee fell to 1-4 on their current 7-game west coast road trip, while the Giants have won 12 of their last 13 games to move within a half game of the Dodgers for first place atop the National League West. The Milwaukee Brewers eight-game winning streak came to an end, falling 5-3 to the Atlanta Braves on Monday night at Miller Park. Atlanta starter Matt Wisler held the Brewers to three runs on seven hits in 5 2/3 innings for his 8th win of the season. The Braves got to Brewers starter Kyle Lohse early, scoring four times in the first two innings. Four of the Braves first five batters reached base against Brewers starter Kyle Lohse (5-10). Kelly Johnson clubbed a two run homer, the 20th home run allowed by Lohse this season. He allowed 22 all of last season. Gerardo Parra led off the bottom of the first with his eighth home run of the season, cutting the deficit to 2-1 before the Braves scored twice more in the second to go up 4-1. The Brewers entered the game averaging 14-hits a game on their recent road trip, but it didn’t carry over to their series opener at home last night. Rookie Tyler Cravy pitches game two of the series for the Brewers tonight. Cravy takes the spot in the rotation vacated by Matt Garza, who was placed on the 15-day disabled list with shoulder tendonitis. 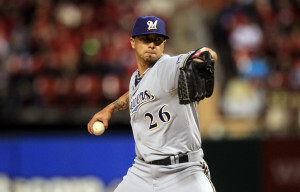 The Milwaukee Brewers pounded out a season high 17 hits and knocked off the Philadelphia Phillies 9-5 on Wednesday night. 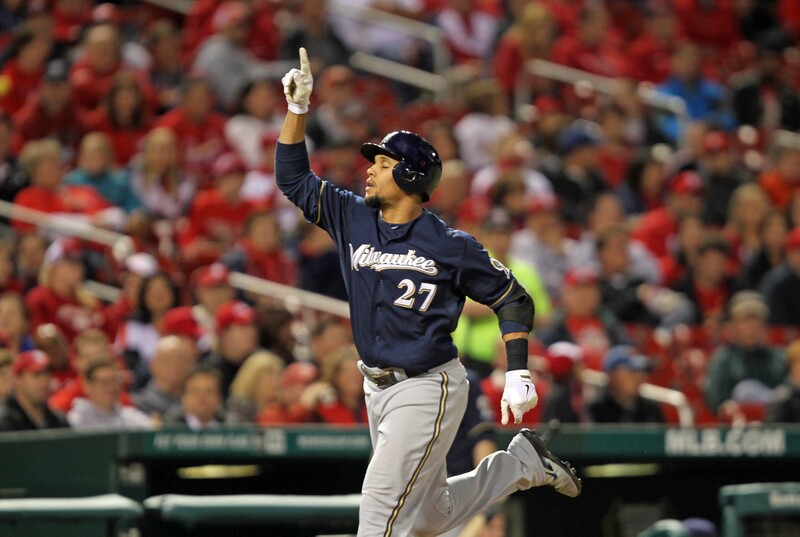 Aramis Ramirez clubbed a 2-run double in the fourth to push the Brewers lead to 4-0. It gives him seven rbi’s in the last three games. Adam Lind clubbed a two-run homer, his 12th of the season and Scooter Gennett had three hits (2 doubles and a triple) in the victory. Kyle Lohse not only won his second straight game, but he added three hits with his bat. Lohse worked 6 1/3 innings and allowed 9 hits, 4 runs, 2 walks and struck out four. The Brewers won the first three games in the series and extended their overall win streak to four. They’ll shoot for the sweep of the four game series tonight. Matt Garza (4-10, 5.52 ERA) faces Chad Billingsley (0-2, 6.75) in the pitching matchup. First pitch is set for 5:35 p.m. Brewers fans continue to wonder “opening day” Kyle Lohse is going regain his form. The 2015 season so far has been one forget for Lohse. Last night, Lohse gave up five runs in five innings and fell to the Kansas City Royals 8-5. Not only is Lohse 0-4 with a 9.28 ERA in his last six starts, but he is 3-8 overall with a 6.44 ERA for the season. He’s allowed 16 home runs, which is tied for the most in the majors.